Just one week after iOS 10.3 was released, Apple has seeded iOS 10.3.1 firmware update for iPhone, iPad & iPod Touch. What’s new in this release? Can jailbreak & Cydia download for iOS 10.3.1 running devices (current update)? Here’s everything you need to know in brief. iOS 10.3.1 is a minor update so no new features are added. “iOS 10.3.1 includes bug fixes and improves the security of your iPhone or iPad.”, Apple says. However, iOS 10.3.1 adds support for iPhone 5 & 5C that was not in iOS 10.3. (iOS 10.3 was pulled shortly after release for iPhone 5 & 5C). According to the Apple’s security notes, that iOS 10.3.1 contains a fixes for WiFi security bug that was found by Google’s Project Zero. This bug could have allowed hackers to execute arbitrary code on the WiFi chip. Can install Cydia for iOS 10.3.1 ? Luca Todesco released first jailbreak for iOS 10 users to Cydia download their iPhone, iPad & iPod Touch devices. His initial release, yalu + mach_portal tool supports to jailbreak iOS 10 – 10.1.1 and latest tool yalu102 compatible for jailbreak iOS 10.2 64-bit devices except iPhone 7. It’s clear now, Yalu jailbreak only supports for up to iOS 10.2 version. So, you can not use Yalu for jailbreak & Cydia download for iOS 10.2.1, 10.3 & 10.3.1 running devices. We recommend all iOS users to download our Installer with your iDevice. 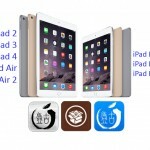 This will really help you to find your jailbreak & download real Cydia. The app will automatically detect your device status and help to install right thing for you. Update 1: iOS 10.3.1 jailbreak has been demoed by the Pangu..
Update 2: iOS 10.3.2 & iOS 11 beta jailbreak has been demoed by KeenLab..
Update 3: iOS 10.1.1 jailbreak on iPhone X has been demoed by KeenLab. iOS 11.1.1 : Jailbroken! – More Information Here..
iOS 10.3.2/11 beta : Jailbroken! – More Information Here..
iOS 10.3/10.3.1 : Jailbroken! – More Information Here.. Here you can try Cydia alternatives to download your favorites jailbreak apps / tweaks for your iPhone, iPad & iPod running iOS 10 – 11. 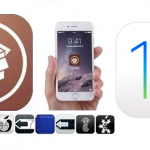 How to download best Cydia apps / tweaks without jailbreak ? Keep in touch with us. There are any change in jailbreak status, we’ll let you know as quickly as possible. Follow us on Twitter, add us to your circle on Google+ or like our Facebook page for good news about Cydia – Jailbreak. How to get iOS 11 features on iOS 10 right now? 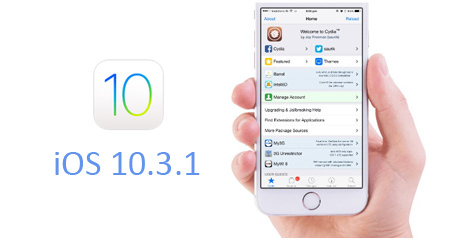 Can Download Cydia for iOS 10.3.2, 10.3.1, 10.3 & 10.2.1 iDevices ? ‹ How To Jailbreak iOS 10 – 10.2 With Safari For Cydia Download Without Computer ? Yes, More fake Tools are available to install Cydia for iOS 10.3.1. Please wait until real Jailbreak tool release for public users. Can u tell us when is the release date for ios 10.3.1 support?? Unable to fix date for iOS 10.3.1 jailbreak release. Please touch with us..
To install the freeware, you need a password. What is the password. Yes, You are unable to download Cydia for iOS 10.3.1 now. Please wait.. We will inform when jailbreak ready for you. Buy me! Buy me! Buy me! Bunch of BS! Hey everybody! I really want to jailbreak my iDevice but i cant because I have iOS 10.3.1 but I found that there is a beta version of yalu for iOS 10.3 – 10.3.3 called “yalu103”. I would like to be a beta tester for this version and i can to any damage for my device at my own risk. So if anyone know how to get this file I would like to get it.